Sadly I have been working pretty much non-stop for the whole of December including the entire Christmas period! This high workload coupled with the fact that the nights darken so early in the winter months has severely restricted my hobby time over the last few weeks! However despite this I have still managed to squeeze in the odd hour here and there on some of my many outstanding projects. 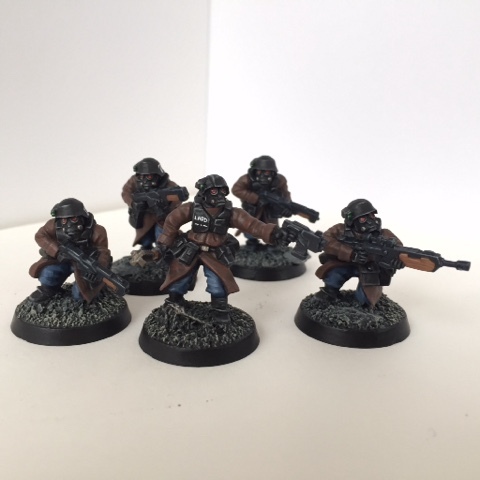 My primary project at the moment is my ongoing Fallout vs Rogue Trader campaign and so this is where I have tried to focus my limited hobby time. 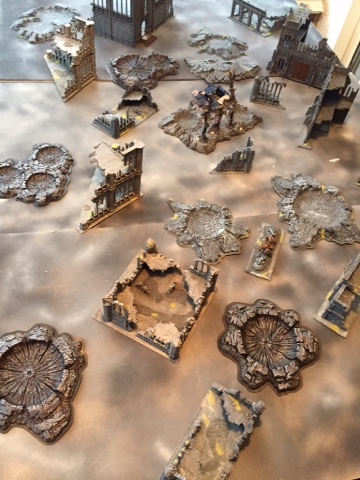 I managed to find some time to get a game of Second Edition 40k in this week with one of my long time best mates. We used to play a lot of games together a few years back but since then life and distance has got in the way which means our opportunities for tabletop action have been somewhat reduced. Thus when we do get a rare opportunity to link we are keen to make the most of it and get our forces on the table again. For this game I set up my recently expanded urban battlefield that has been heavily reinforced with a lot more ruins and craters sourced from a variety of suppliers over the past twelve months.